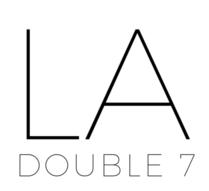 Triangle – LA Double 7, Inc.
Triangle scarves are perfect for wearing in many versatile ways! Wear as a belt, a hair scarf, or neck scarf! Have fun and get creative with your accessories. This navy scarf is embellished with fringe along the edges for added style. The plaid pattern runs throughout this scarf in shades of orange and red. Wear this stylish olive hounds-tooth scarf as a wrap or shawl! Beautiful throughout the seasons, this scarf is sure to add style to any bland ensemble.